UPDATED NEW QUOTE BY ULDIS SPROGIS 384!!! This entry was posted in common sense and tagged common sense, dissatisfaction, future generations, government, human nature, misery, morality, private property, quotes, relationships, truth on May 15, 2016 by uldissprogis. 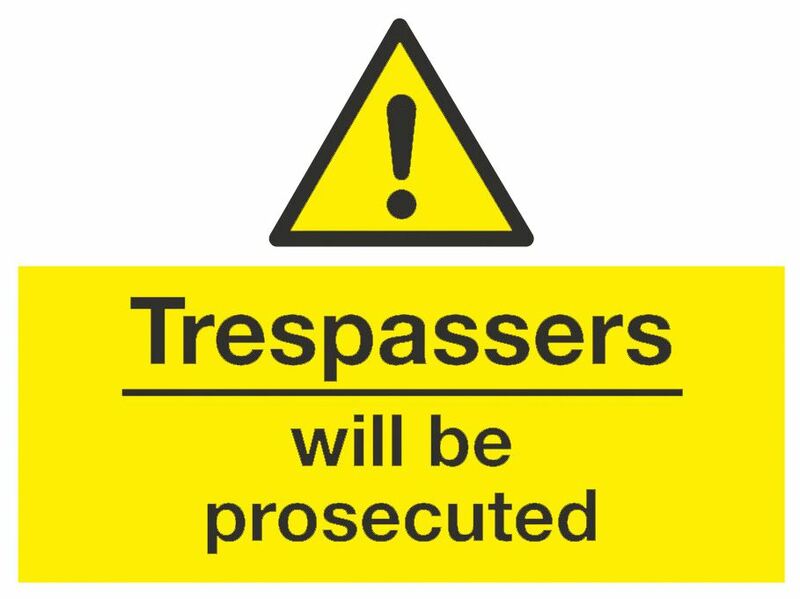 Trespassing on private property without permission is wrong most of the time but trespassing on public property and misusing it is also wrong and there should be legal punishment for some of this misuse. Littering and vandalizing public property and performing extremely deviant behaviors on it should be subject to fines and even imprisonment for the worst offenders. This entry was posted in common sense, education, justice, science, society and tagged common sense, education, justice, language, permission, private property, public property, real estate, science, society, steal, the truth about trespass, trespass, undesirables, words on June 14, 2015 by uldissprogis. With the exception of humans almost everything else can be considered to be property which can be owned by someone or a collection of individuals. A terminal or perpetual trust can also own property but it still needs humans to manage it. Property rights are fundamental to human freedom or liberty and if you can’t own anything personally then it is some collective or political entity which completely rules your behavior in a tyrannical and almost always unjust way. It is a proven fact historically that you usually take care of your own personal property better than a collective can. If the property is not your personal possession then chances are great that you will be more irresponsible with it. If the property breaks or you lose it then you will probably make excuses or hope that someone else takes care of or pays for your irresponsible actions. Pure collective communism is a historical disaster and modified Chinese communism is primarily succeeding because it once again acknowledges the right to private business ownership of property. State owned enterprises still exist in China but it is just a matter of time before they are mostly displaced by private enterprises which do a much more efficient and profitable job. Central communist planning is highly inefficient and considerable decentralization is the just way to go in ruling the nation. Central planning by big government and big business is highly inefficient and the solution is decentralization. The United States government could eliminate the Senate and give states rights to localities or basically just have a National government with the House of Representatives ruling. That is true workable decentralization of government which will work and create many new innovative small communities throughout the United States. Big business could also profit by breaking up into almost autonomous smaller corporations pursuing their specialized interests without central planning hindering their innovation or prosperity. Big anything is almost always more inefficient, less innovative, and not willing to change in the face of changing circumstances which demand change to improve things. Big government and big corporations are the primary reason why we are still stuck in the status quo paying overly high taxes, eating unhealthy cheap food, driving big inefficient cars, living in big inefficient housing, and wasting our time with big inefficient mediocre entertainment. This entry was posted in common sense, education, money, science, society and tagged common sense, education, land, language, money, possessions, private property, property, science, society, the truth about property, words on April 11, 2015 by uldissprogis. The urge to steal and not private property creates crime. Stealing is sometimes a very efficient way to obtain food or property and nature loves efficiency. Even in nature animals get upset with a vengeance if someone tries to steal their food away from them. Food can be considered private property. It is a crime to steal the food from the one that has made the kill or earned it even in human society. There is still a pecking order even in pack animals as to who gets to eat first, second, third, etc. Stealing can be considered to be a crime for many animals almost everywhere in nature and sharing has its well established rules which are frequently challenged by younger less skilled animals. It is true that some cheetahs will abandon their kill to other more aggressive stealing animals but this is just to avoid deadly personal injury which would make it unfit to kill prey again. If aggressive animals steal too much prey from the cheetah, the result is starvation and death. No one would advocate survival of the fittest for a human society so it is absolutely vital that private property be protected with laws against stealing which is fundamentally what all crime is about. There should be a safety net in human societies for the unemployed and also destitute so that they don’t starve mentally and physically. They should be given an opportunity to work their way back into society with free useful mental technological education over the internet so they have the hope of new progress through personal effort and achievement over a lifetime. Pursuing pleasure for the goal of pleasure will destroy you. Doing only what only feels good will destroy you- is another way of putting it. Hedonism is one variation of this principle and it usually leads to debauchery, financial and even bodily destruction. This is true because it is really a sign of maturity when you can redirect your aggression onto constructive activities, sports, and games but not be overly aggressive on humans. Immoral suicidal terrorists who kill innocent people would disagree with this point of view because they don’t believe their cause is bad. Sacrificing yourself for goals which don’t improve or maintain a healthy society is bad. Self-awareness is only a handicap if you understand or are aware of your weaknesses and don’t try to do anything to improve them in the future. This is a fundamental truth. Offspring start out being selfish and relatively few adults outgrow their selfish egoism. This is true from a religious point of view which makes a correspondence of forbidden behavior with the word sin. Laws which badly enforce moral behavior are the true means of secular social control these days and it should be replaced with a secular morality taught in elementary schools so that moral behavior becomes impulsive. Survival of the fittest applies to humans and animals. Unfortunately present social laws throughout the world are not encouraging the fittest to reproduce in greater numbers thus assuring a better gene pool for future generations. Instead, the less fit in society are reproducing in greater abundance thus making future societies less fit to survive. I have written and published many evergreen books that cover this subject thoroughly and present the needed political, social, and economic changes to get closer to a more desirable goal of promoting the reproduction of healthy, smart, and wealthy humans. This just means that technology can be used for good and bad purposes and it is up to society to try and limit the technology to as many good purposes as possible. If we permit technology to be used in too many bad ways then it will indeed break us or even eventually destroy the world. Even in science, there are few laws left to be discovered. All human laws exist but the current ones need a radical update so that humanity can operate in a healthy way in the future. The new updated or discovered moral code is except in emergency situations- don’t destroy biodiversity, don’t lie, don’t be inefficient, don’t steal, don’t commit adultery if married, and don’t murder. My evergreen book CHANGES IN WELFARE LAWS is a must read if the nation and the world is to change for the better. If you liked this evergreen truth blog then read more of them and one or more of my evergreen truth books, especially HUMAN NATURE. This entry was posted in common sense, education, science, society and tagged common sense, education, human nature, morality, pleasure, private property, science, social truths, society, stealing, truth, wisdom on December 8, 2013 by uldissprogis.